Well, that hunt is over. 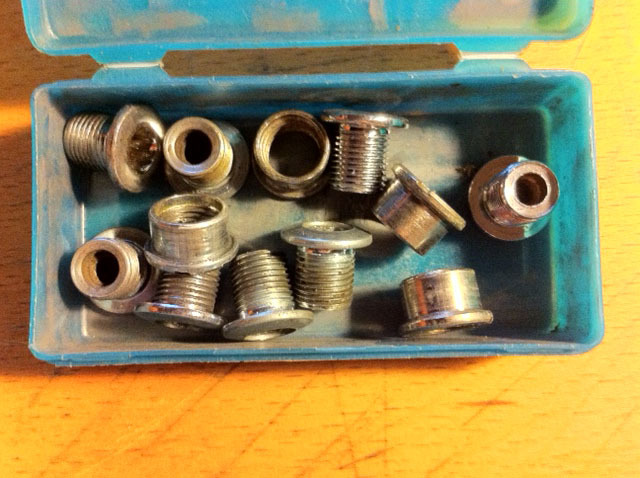 Found ’em this afternoon in my aforementioned haphazard Box O’ Bike Stuff. They were in the little green patchkit box I knew them to be. Trouble was I put that box inside another box mostly full of old lights. Silly me. This entry was posted on Wednesday, November 9th, 2011 at 4:51 pm and is filed under biking. You can follow any responses to this entry through the RSS 2.0 feed. Both comments and pings are currently closed.